"Radiocesium dynamics in forest ecosystems after the Fukushima Nuclear Power Plant accident: Experiences during the initial five years." Forests are the dominant component of the terrestrial landscape in the vicinity of Fukushima Dai-ichi Nuclear Power Plant, and were heavily contaminated by radiocesium fallout resulting from the reactor accident in March 2011. Many studies of radiocesium contamination of forest ecosystems and forest products commenced just after the accident at the power plant. The information gathered during the initial period of the Chernobyl nuclear accident in April 1986 was limited. Therefore, the findings from the Fukushima accident are important to fill this information gap. We invite authors to contribute original research and review articles regarding the Fukushima accident in the areas of the environmental monitoring of radiocesium deposition and transport, and the modeling of radiocesium dynamics. Articles on the impacts on forestry and forest countermeasures are also welcome. The Editorial Board of the Journal of Forest Research is proposing a special feature titled, "Radiocesium dynamics in forest ecosystems after the Fukushima Nuclear Power Plant accident: Experiences during the initial five years." 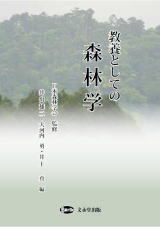 The aim is to collect articles concerning various aspects of forest ecosystem contamination, and the decontamination measures undertaken in the five years after the Fukushima Dai-ichi Nuclear Power Plant accident. All the manuscripts must be submitted by January 13, 2017. For further information, please contact Dr. Ohkubo ( ).